A new FindLaw.com housing survey suggests more Americans are now poised to re-enter the housing market. As a result, real estate attorneys may soon be in hot demand. Just two years ago, 63 percent of survey respondents said they were less likely to buy a house because of the weak economy. Today, however, only 30 percent of Americans say the economy is keeping them out of the housing hunt, the survey found. There may be several reasons for this positive trend. For example, lower housing prices and favorable mortgage rates may be attracting buyers who have been waiting on the sidelines these past few years. So with consumers' economic outlook now becoming less of a drag on the housing market, real estate attorneys may want to consider ways to position themselves to take advantage of the potential uptick in business. Target a Niche. Individuals who buy and sell a home typically don't need a real estate attorney. However, you may want to focus on areas that are more likely to lead to legal disputes like foreclosures, short sales, commercial leasing, and representing consumers ensnared by unethical lending practices. Give Seminars. The homebuying process can be confusing to many laypeople. In fact, many buyers simply sign all their closing documents after giving them only a cursory glance. 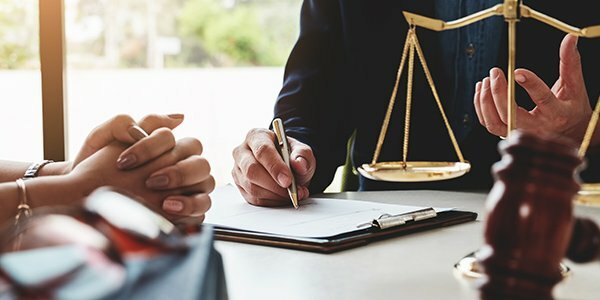 You can educate potential clients by holding seminars to walk them through the homebuying process and highlight areas that are likely to lead to legal disputes. Network. You know your practice area is heating up, so there's no reason you shouldn't be hitting the pavement and networking. People who are buying a home love to talk about it, so strike up conversations and direct folks to your law firm's website and social media accounts (if you don't have these set up, FindLaw's Law Firm Marketing experts can do it for you). After all, you never know who may become a client.